The meaning of Engawa is simply the space between the fish’s body and the sea – we know it as the fin’s muscle. 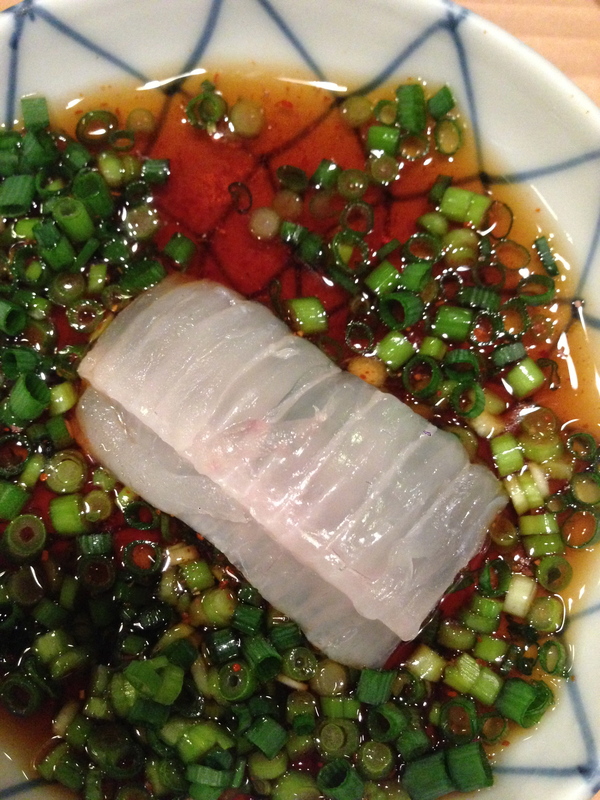 This part of the fish represents the idea of enjoying texture by combining other tastes. In the West we think of foods in terms of a single taste without texture being in the forefront. Here in the East texture is an element of taste and can be just as important. In this case we combine Engawa with “Ponzu”, a sauce made by each chef, like the broth of a soup and the vegetables within the soup, you need the two hand in hand to appreciate the soup’s flavor and gusto. The Ponzu is a chef’s signature, it has a very different taste from shop to shop and the ingredients and combinations vary – no two Ponzu sauces are the same.